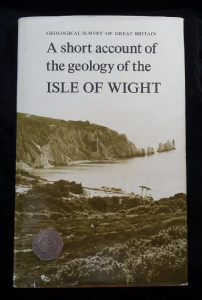 A short account of the Geology of the Isle of Wight. by H.J. Osborne White.1920. Geological Survey of Great Britain, 201 pages and 43 b/w figures. The classic work on the Geology of the Isle of Wight. A must have publication for anyone interested in the fossils of the island. Excellent condition. With dust jacket. 24.5 x 15.5 x 2cm.